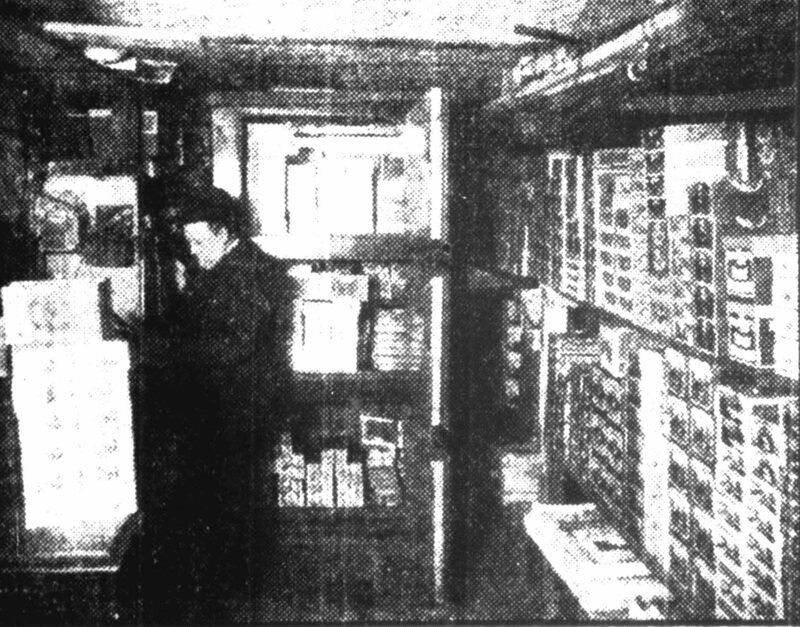 The storeroom of James J. Baylis' cigar stand at the Morton House was in an areaway typical of those under the sidewalks of Monroe St. This room, beneath the sidewalk at the front entrance of the Morton held hundreds of dollars worth of cigars both domestic and imported. The room was thoroughly ventilated so that the dampness normally associated with a cellar room was overcome.